If your work runs a workplace giving scheme, you may be able to make a donation to Mercy Works directly from your salary. You choose the amount to be taken out of each pay. At the end of the financial year you’ll receive a statement from your employers which you can use to claim the tax on your donation. Find out more about workplace giving from the Australian Taxation Office. This is similar to a workplace giving scheme only your donations are taken out of your salary before tax. This reduces your taxable income. It’s an efficient way of donating to Mercy Works as you don’t have to remember to submit your donation receipts as part of your tax return. 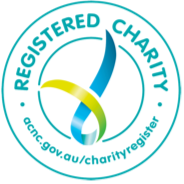 Mercy Works is a deductible gift recipient (DGR) which means donations to us are tax deductible and eligible for such workplace schemes. Please contact Elizabeth Grady on mwdo@mercy.org.au or +61 2 9564 1911 for further information on the workplace giving scheme.